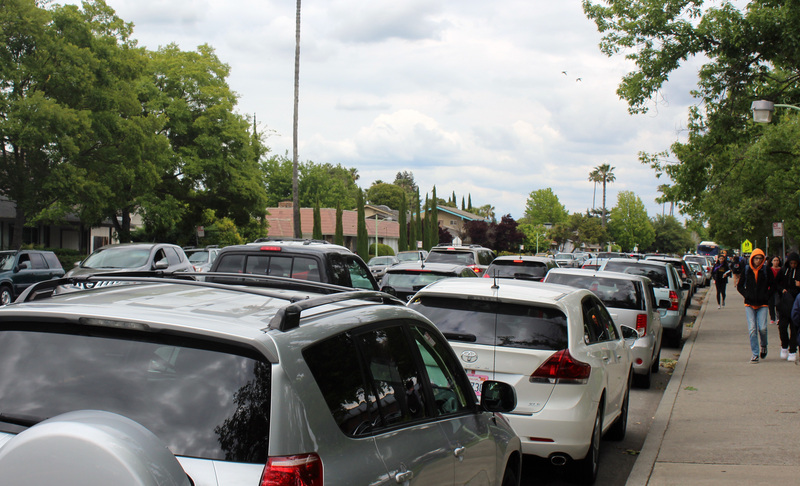 Every school day, Gloria Drive is congested with the hundreds of parent and student drivers. But we have some serious problems with the etiquette many of these “liscenced” drivers have. This issue has risen to be mainly an issue for the student driving community at JFK. The following flaws regarding school traffic are complaints given by various students. For some reason some parents think it’s okay to drive into the parking lot and then immediately stop in the road to drop off their kid. As a result of this, there’s more traffic and everyone is angry all because the world somehow revolves around you enough to stop in the middle of the road to let your kid out. If you want you can give me a call and I’ll be sure to bring out the red carpet. Remember that student drivers also use the lot to park. If you want to drop off your kid in the parking lot, I’d recommend driving into a parking spot where students don’t park and dropping your kid off there. I’m sure it isn’t gonna kill your kid to walk an extra 20 feet. Despite this solution, parents aren’t really going to care anyway and will continue to use an entire road as their personal stopping point. If you’re still going to do this, at least have your kid pick up the pace getting out of the car. My goodness, so many of these kids take their sweet time getting dropped off and forget that their inconsiderate chauffeur is blocking up the road creating traffic. Are you all filing your taxes before you get out of the car? Parents also seem to have forgotten the art of using a turn signal. Several times drivers pull out of the curb without notice and cut in front of unsuspecting drivers. Thinking that someone is always going to let them in, they put a danger on themselves and others. That turn signal exists for a reason, someone would probably let you out if you had the decency to use it. It’s better than cutting someone off. After school, some parents think that it’s cool to park in the bus lane to pick up their child. All it takes is turning your head about 45 degrees east to see the red sign that reads, “No parking, Bus lane.” I don’t know if you know this, but a lot of Kennedy students get picked up from the bus there. I guess that doesn’t matter to some of these people though, so the bus would then have to go around the car parked and would pick up students while poking out of the street. This would in turn create more traffic and is a danger to the many cyclists that use the bike lane there to get home all because you couldn’t follow basic traffic rules. It’s the most basic rule of them all. When the traffic light turns green, you are clear to advance. It’s a rule so easy to follow, children play games relating to it. But for some reason this simple rule is a problem for drivers on the intersection leading to Gloria Drive. The lesson here requires little explanation: pay attention and get your head out of whatever device is distracting you from performing simple traffic rules.